Want a versatile, comfortable yet a strong backpack that can hold your belongings ranging from your laptop to anything? So I would suggest that this bag is the best answer for you. With four roomy compartments alongside with sub-compartments and well padded and heavy duty rust resistant nylon zippers, these packs are perfect for even everyday use. For example as a student, you can carry your books weighing 50lbs too!!! Even with so much of rough use, it is still going to stay with you ready to be used again and again. So here is the review of the 3V Gear Velox II Large Tactical Backpack – the expandable, tough and hydration compatible. 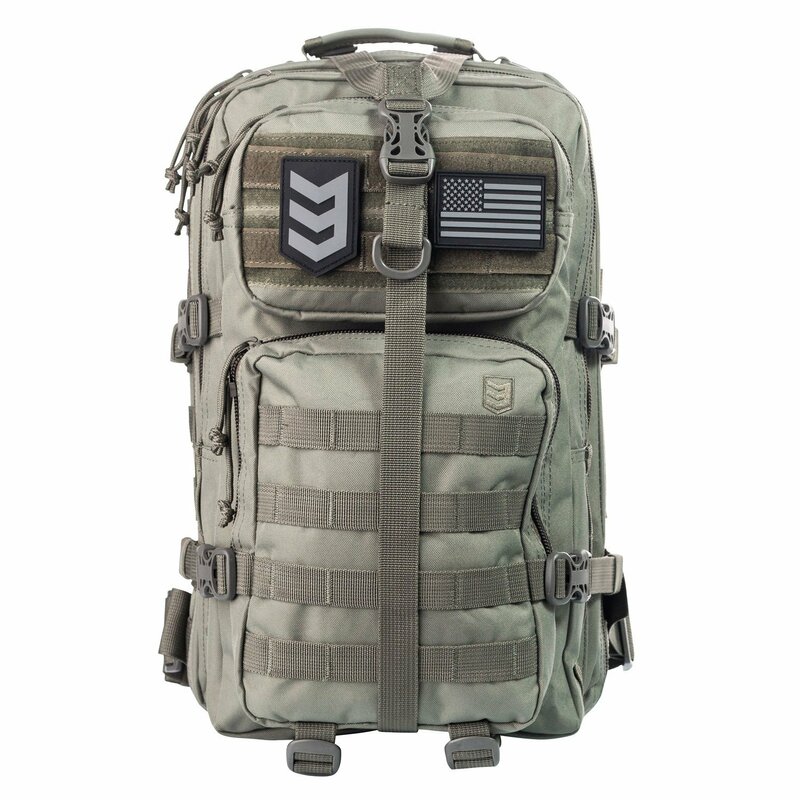 The 3V Gear Velox II Large Tactical Backpack is extremely roomy and spacious as the name already says all. It is 1628 cubic inches so you can imagine how much you can put in it and roam around. Also, the main compartment is 972 cubic inches w/ internal organization, and now if the large one is this much imagine the rest, So the main point is starting from your electronic gadgets(with tons of cables) to your military gears, you can carry any of your belongings. Also, the side and internal pockets expand and compress giving the whole backpack overall large and expandable feature. There is nylon organizer for pens, day planner, or a digital device integrated which gives the pack more organization. The straps are a very important to any assault backpack leading to its comfort level. The straps are well padded and soak away any moisture. The shoulder, hip, and sternum straps are adjustable. That are Not only adjustable but also compressible with great quality. So they will completely fit your body hence easier to carry. These bag’s molle webbing is perfectly spaced on the sides and has 2 loops side by side. Also, these backpack has bottom mole webbing which not many packs may have. The side webbings can be used as water bottles pouches due to proper spacing. The construction and the design of the backpack are well suited for military purposes. 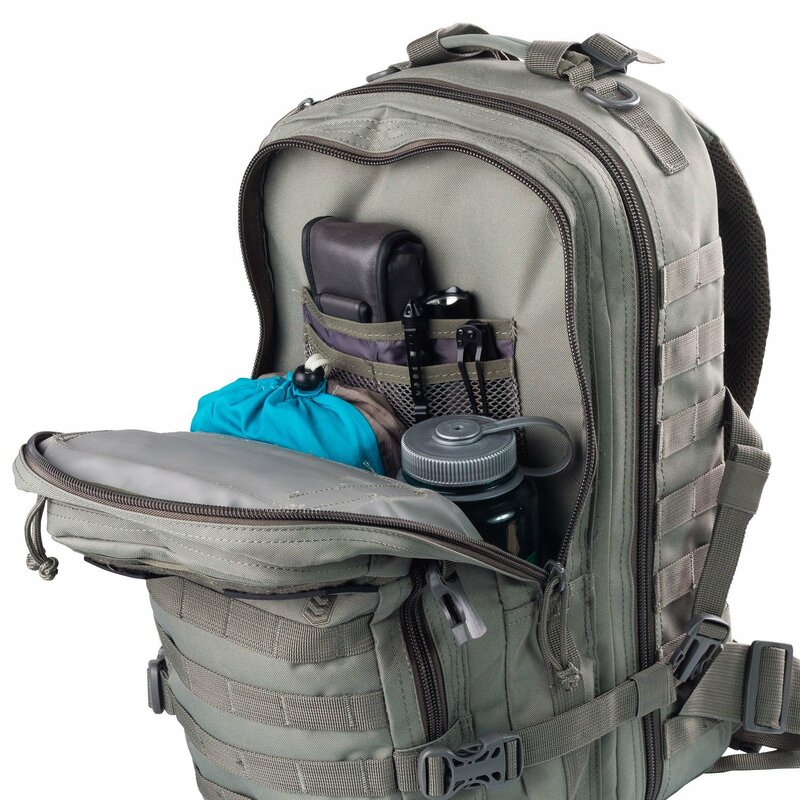 Similarly, due to its internal organization structure, it can be used for hiking, bug out bag, work traveling, gym bag, for even students who needs to carry tons of books every day. The design is pretty simple for even everyday use, and it is pretty rigid, so you even go completely berserk with it, but it will still be able to withstand all that pressure alongside with you. Maybe internally the bag has lots of sub-compartment, might look messy but is actually pretty organized. 3V Gear Velox II large tactical backpack is made of 600 D PVC backed nylon which gives it, its rigidity, weather resistant and rugged too. Hence the bag is also sturdy and durable. The material is the sole reason for its toughness but at the same time it is pretty comfortable to use due to large self-healing zippers is because the nylon zippers are heavy duty rust resistant. All zipper pulls are threaded with the para-cord for increasing durability and also reduce the noise. Again adding extra features that are irresistible. The adjustable straps make the whole bag more comfortable to easier and fewer issues for your back too. Due to the material used it can withstand great outward pressure, and as it can expand so, you can put more belongings too. Not 100% water resistant so it would be wiser to rain cover it at times. Q: Is the water bladder pocket insulated? Q: Will a 17’’ laptop fit in it? A: yes, it definitely would. Q: Will these accommodate 3L hydration bladder? Q: Is the foliage gray one more gray or green? 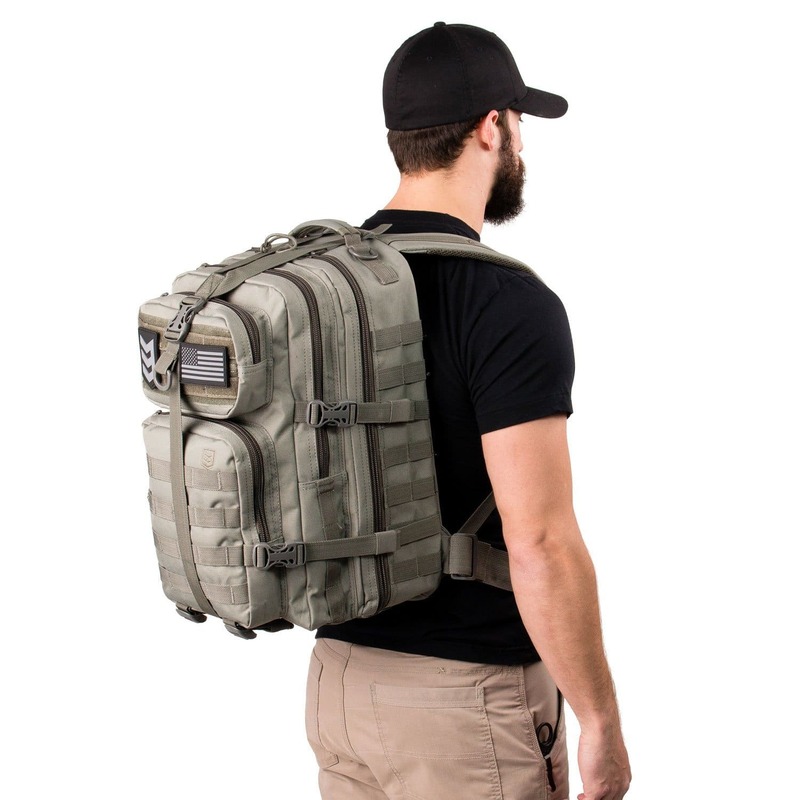 So if you are looking for a sturdy, rigid yet a comfortable bag which can withstand all the abuse you can offer, the 3V Gear Velox II large tactical backpack is perfect for you. It has a roomy space, and those organized compartments are perfect for everyday use as well as for military gears and other necessary gears. The fabric is durable, and as said earlier due to the adjustable straps and nylon zippers it is pretty easier and comfortable to carry around not too big, not too small for anyone. So at a reasonable price and decent design, this is the perfect backpack for you.